The latest allegations of bank fraud are a bigger liability for the BJP than farmer suicides, unemployment, and religious and caste violence. It is only through a narrative around corruption that the Indian political class believes it can bridge the chasm of class, caste, religion and region to ride to power. That is why the Bharatiya Janata Party and the Congress are accusing each other of facilitating the process by which diamond czar Nirav Modi and his uncle Mehul Choksi allegedly got illegal loans of Rs 11,400 crore from the Punjab National Bank. Nothing seems to damage a ruling party’s image more than the taint of scam. Not the suicide of farmers, not urban decay, not the failure to create jobs, not communal or caste violence. The political class realised the power of the C-word when the Bofors scandal broke in 1987. The Opposition’s ferocious campaign over the scandal, which involved paying commission to procure 155 mm field howitzers for the Indian Army, ousted Rajiv Gandhi from power in the 1989 Lok Sabha election, bringing the Congress down to 197 seats from the mammoth 404 seats it had won five years earlier. For the first time, the mantra of corruption had led to regime change at the Centre and came to be perceived as potent. This mantra soon became a compulsion as the Mandal-Mandir politics sharpened social cleavages and enhanced the clout of regional parties. The political class veered around to believing that only a narrative woven around corruption could enable it to piece together the fragmented electorate to secure a majority. Since 1991, the surest way of undermining a ruling party has been to hurl charges of corruption against it. Whether the allegations have been proven in a court is less important than convincing Indians that they are credible. This requires the construction of a strong narrative, a process in which the media plays a crucial role. Whoever wins the battle of perception gets to rule. It becomes important, therefore, to link scamsters with the political leadership. Thus, jeweller Nirav Modi’s presence at a meeting between Narendra Modi and business leaders in Davos imparts a political edge to an allegation that is otherwise the stuff of gossip, as is a video clip in which the prime minister calls on Nirav Modi’s uncle Mehul Choksi by name. Using the same strategy, the BJP has hit back at the Congress, alleging that the party’s president, Rahul Gandhi, attended an event organised by Nirav Modi in 2013 while the wife and son of its senior leader Abhishek Singhvi were on the board of a company that rented office space to the jeweller. This battle of perception is also why the BJP and the Congress are engaged in a slugfest over whether the Punjab National Bank fraud started before or after Modi’s ascent to power. Of course, merely being friends with Nirav Modi or Choksi does not establish Modi’s complicity in the bank fraud, or Rahul Gandhi’s. The BJP and the Congress are projecting each other as being corrupt because, sociologically, a narrative around corruption holds out the possibility of overcoming the segmented nature of the Indian polity, of its moral partisanship. A farmer’s suicide does not move urban voters because agricultural distress is not part of their lived reality. Anxieties of some caste and religious groups are neutralised by uniting other groups against them. By contrast, the issue of corruption can unite the largest number of Indians as they have either paid bribes or know someone who has. Sociologists categorise bribes as harassment and non-harassment bribes. The first is what people pay to get services they are legally entitled to, for example to secure a water connection. Non-harassment bribes are paid to either escape a fine, say, imposed for driving without wearing the seat belt, or to gain a benefit to which the person is not legally entitled. Allegations of corruption against a ruling party usually belong to the non-harassment category, as in the case of the Nirav Modi and Choksi allegedly obtaining illegal loans worth Rs 11,400 crore from a public bank. This form of corruption does not constitute the everyday experience of most people. Yet, they react because it resonates with the reality they live. The debilitating psychology of bribe-givers can be grasped from Ipaidabribe.com, a website where people can anonymously report bribes paid by them or demanded from them to access government servies. Since the website was launched in August 15, 2010, it has received 1,54,058 reports involving bribes to the tune of Rs 2,867.51 crore. 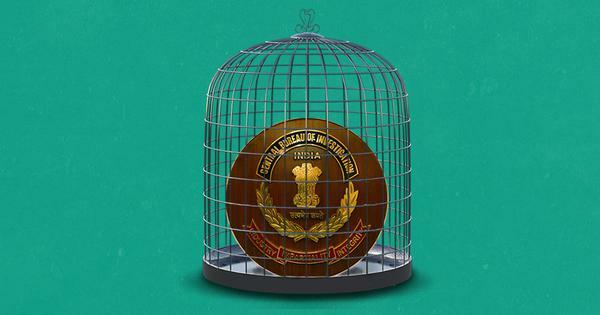 Accounts posted on the website give a glimpse of the pervasive nature of corruption in India – and the resulting rage at having to pay for a legitimate entitlement, for the humiliation of having to transgress moral codes under duress. 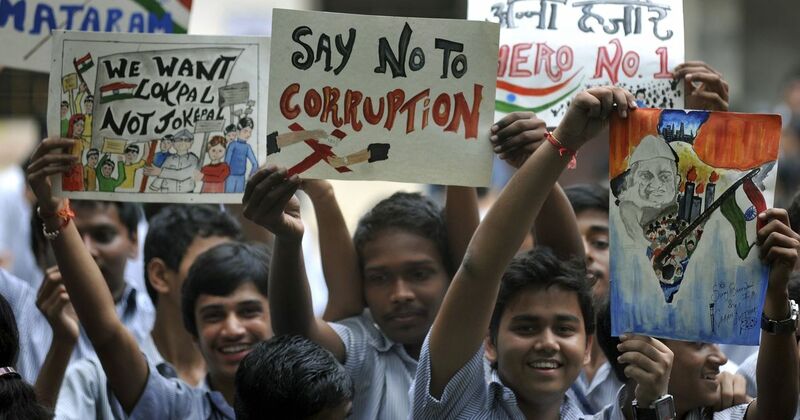 Narratives of rooting out corruption naturally appeal to Indains. They provide a channel to transfer anger from immediate tormentors to their political masters, who are blamed for not curbing corruption or, worse, allowing it to flourish either for personal gain or for the benefit of their parties. This anger is what the narratives around corruption seek to tap. Such narratives transcend India’s numerous social chasms because the experience of paying bribes is universal. Development, too, has the potential to bridge social chasms in India. It enabled Modi to reap a rich harvest of votes in 2014. However, post-Bofors, high-value scandals have only given a fillip to the narrative in which the process of economic liberalisation is treated as a synonym for crony capitalism. This impression will only be reinforced by the Nirav Modi-Choksi fraud. Save for VP Singh, Chandrashekhar, HD Deve Gowda and IK Gujral – who all belonged to the Janata Party or one of its factions and ruled briefly – every prime minister post-Bofors has been accused of either overlooking corruption or facilitating it. PV Narasimha Rao of the Congress was alleged to have taken money from the stockbroker Harshad Mehta, the BJP’s Atal Bihari Vajpayee was accused of crony capitalism in the disinvestment of public sector companies, and a slew of scams surfaced during the 10-year rule of the Congress’ Manmohan Singh. All these allegations acquired credence because of the narratives created by the Opposition. Citizens know court proceedings take inordinately long to prove culpability, so they assume the role of jury before whom political parties, in the manner of lawyers, argue their briefs. It is now Narendra Modi’s turn to stand in the dock, rightly or wrongly. He and his party will face prosecution before the jury of the public just as the Congress had. The flight from India of Vijay Mallya, Lalit Modi, Nirav Modi and Choksi will be cited as evidence that the prime minister has broken the promise he had made in 2014 to act as chowkidar, or guard, of the public exchequer. He cannot complain it is unfair to accuse him of complicity in the escape of Nirav Modi and Choksi without evidence because that is exactly what he and his party did to the previous dispensation. In fact, he still accuses the Congress of defalcation even though it is his duty to tackle corruption now and prosecute those guilty of embezzling public money. It was easy to predict the arguments Modi and the BJP cited in their defence. For one, blamed the Reserve Bank of India for laxity in regulating public sector banks, leaving poor politicians holding the can. For the other, they are trying claim the government has made good the losses suffered by the Punjab National Bank by seizing Modi-Choksi’s assets, including jewellery, estimated to be worth Rs 6,300 crore. In addition, the Income Tax Department claims to have taken possession of 150 paintings of renowned artists and other art objects belonging to Nirav Modi. It is another matter that the government’s estimates can get verified only when these assets are auctioned, a cumbersome process that drags on for years.